§ Grants will focus on education, health, and social service programs within the State of Oregon. § EDUCATION: The Foundation will support programs that promote high achievement, including early childhood education, school enrichment programs, and scholarships for individuals with potential who lack the resources to pursue higher education. Vocational and academic programs that assist people in transition, including those re-entering the workforce, are also of interest. § HEALTH & SOCIAL SERVICE: In order to help people succeed, the Foundation will support direct service programs and projects to benefit & strengthen families and to assist individuals of all ages with access to resources to meet their basic health and living needs. § The Foundation will also consider animal welfare programs and projects. § The Foundation is open to proposals for specific programs & projects, general operating expenses, and needed equipment. The board is less likely to make grant awards for capital construction projects, endowment, or research. Multi-year grants will be considered. 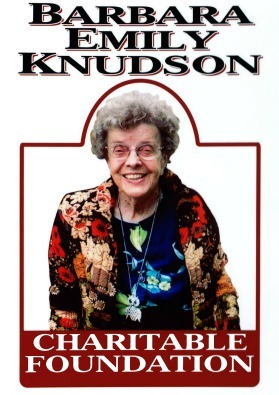 Grant application to the Knudson Foundation is by invitation only. The Foundation does not accept unsolicited requests for grant funding. Please review the Foundation website for additional information.